Can Mouth Guards Prevent Concussions? Can athletic mouth guards actually prevent concussions? A concussion is defined as a brain injury resulting from trauma to the head. Anyone playing contact sports has potential to sustain an injury that will result in a concussion, sometimes severe enough to end their sporting career. The number of sports related concussions every year seems to soar as sports become more and more competitive. The University Of Pittsburgh Department Of Neurological Surgery states that in our country alone, every year there are at least 300,000 reported sports related concussions. Every year. That number is staggering, and that’s just reported concussions. They also say that the likelihood of suffering a concussion from a contact sport is an estimated 19% each year of play. Does wearing an athletic mouth guard prevent concussions? Many studies have been done, but evidence suggests that no, athletic mouth guards do not prevent contact sports related concussions. However, research has proven that the severity on The Concussion Evaluation Post Concussion Symptom Scale that athletes who did not wear an athletic mouth guard experienced symptoms significantly worse than athletes who did wear an athletic mouth guard. Sports Dentistry Online provides more information about concussion prevention and mouth guards. Properly fitted athletic mouth guards should be considered an essential piece of athletic equipment for kids and young adults involved in any contact sport. 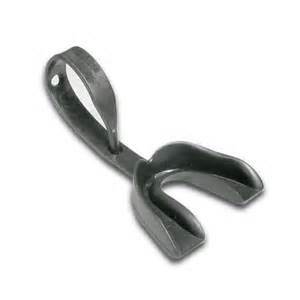 Not only does the athletic mouth guard protect teeth and surrounding gingival tissue, but a professionally fabricated athletic mouth guard can help absorb some of the force sustained from a hit to the head because of the thickness of material “boil and bite” guards just don’t provide. Even with the added thickness, a custom fabricated mouth guard will not interfere with normal breathing or speaking. We are able to take accurate impressions here in our office either by appointment or while you or your child is here during a visit. The mouth guard is customized to the mouth and the fit, protection, and comfort will be highly superior to an over the counter guard. 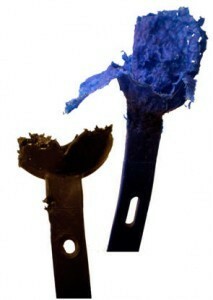 The two mouth guards shown here on the left are what’s left of a mouth guard shown on the right, after two athletes sustained season ending concussions. The first (far left) was from a high school football player; the second (middle) from a 7th grade football player. 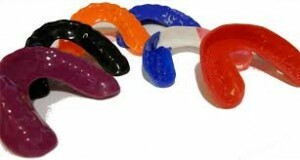 The custom fabricated athletic mouth guards we provide are similar to the ones pictured below. Colors do vary. Call Adams and Cheek Dentistry today to get a mouth guard made for you or your child! Please call us at (919)866-1360 or click here to request an appointment through our website!